Hun School (http://www.hunschool.org) Senior Gabriel Csapo participated in HackNY, a 24-hour computer programming challenge hosted by New York University’s Courant Institute of Mathematical Science, September 29th – 30th. He and his team created an algorithm to visually display recursive data. Their award-winning design, TumblrTree, earned Gabe a summer internship with Interbrand, the program sponsor, and a $1,000 cash prize. 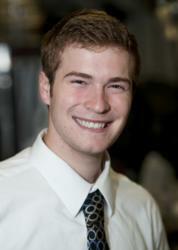 Hun School Student Gabriel Csapo ’13 wins HackNY, NYU’s 2012 student programming challenge. “Our TumblrTree traces a blog from its genesis and visually displays its life. Each branch represents a person who has reblogged a post. Each leaf shows where a blog has found an endpoint,” said Gabriel Csapo. Hun School Senior Gabriel Csapo participated in HackNY, a 24-hour computer programming challenge hosted by New York University’s Courant Institute of Mathematical Science, September 29th – 30th. He and his team created an algorithm to visually display recursive data. Their award-winning design, TumblrTree, earned Gabe a summer internship with Interbrand, the program sponsor, and a $1,000 cash prize. NYU hosted 465 student participants from dozens of colleges and universities. The challenge in which Gabriel competed asked developers to “make data beautiful.” Gabe’s team used data from Tumblr to display the reach and impact of Internet blogs as they gain momentum across online readership. 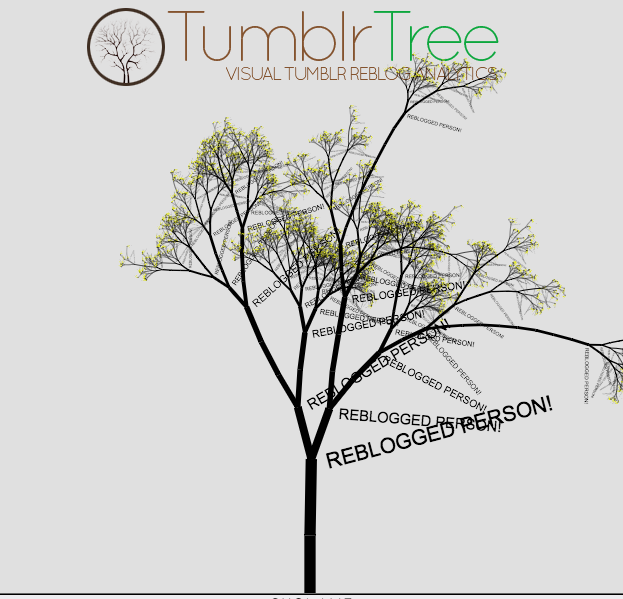 “Our TumblrTree traces a blog from its genesis and visually displays its life. Each branch represents a person who has reblogged a post. Each leaf shows where a blog has found an endpoint,” said Gabriel. Each tree provides a simple, yet dynamic visual representation of data, creating easy-to-use analytical marketing research. “You can see where a point of data has received a push from an influential media source, and how the data has spread to hundreds or thousands of others. We used Tumblr data, because it was available to us, but this application can be applied to any form of recursive data from any source, like Twitter and Facebook, for analytic research.” Gabriel explained. Gabriel and his teammates plan to participate in Princeton University’s 48-hour programming challenge on November 9th – 11th.